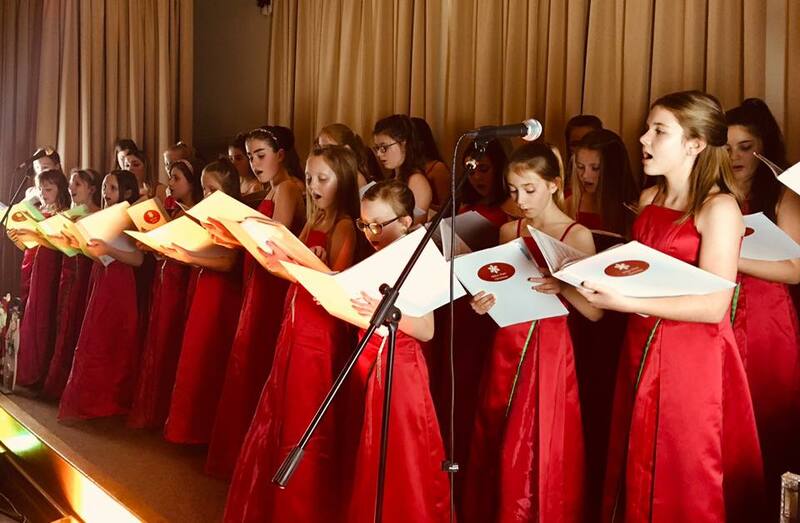 Nidus Children’s Choir was formed in the autumn of 2006 after a small group of primary school children won a gold medal in the Summer at a local eisteddfod after just two short rehearsals. The group grew steadily in numbers and achieved much success over the following years. We won a silver medal at the World Choir Games in Graz, Austria in 2008. A highlight the following year was a tour to Paris, where a number of successful concerts finished with a packed audience at L'église de la Madeleine. The choir won the title Show Choir of the World at the Llangollen International Eisteddfod in 2013 followed by another silver medal at the World Choir Games in Riga, Latvia in 2014. In 2014, the choir also performed at the NATO summit at Tredegar House. Most recently on 2 July 2018 the choir performed before HRH the Prince of Wales and Duchess of Cornwall at a ceremony of renaming the Severn Bridge the Prince of Wales Bridge, to celebrate the Severn Bridge being taken back into public ownership with the removal of all tolls. The choir sang two songs for all the assembled guests, the royal couple, and the First Minister Carwyn Jones. The choir has performed with and in front of many famous and talented people, including Bryn Terfel, Vangelis, Ralph Allwood, Islwyn Evans, Max Boyce, Ian Botham and Carwyn Jones, First Minister of Wales. Over the course of a normal year the choir performs many times, with performances ranging from mini concerts in wards for the elderly long term patients at a local hospital, civic events, weddings, community groups to guest appearances with other leading choirs in Wales as well as our own concerts. We sing a wide range of pieces from classical through to modern classics and aspire to be an outstanding choir. We're currently aiming to take part in the World Choir Games in Belgium in July 2020. Now in 2019, the choir is presently a young one following the departure of eight older members at the end of the Summer term in 2017 to higher education (including a number to music courses). It has already made a mark with successful Christmas performances and a superb formal debut at the Abergavenny Eisteddfod, where they won a gold medal and first prize. The choir is currently building up and is keen to audition any children aged 8 and older who love singing and then give them a first class, high level training in music and singing, in return for enthusiasm and commitment. The choir has members from as far away as Brecon, Monmouth, Chepstow and Gloucestershire as well as from Newport, Cwmbran and Pontypool.